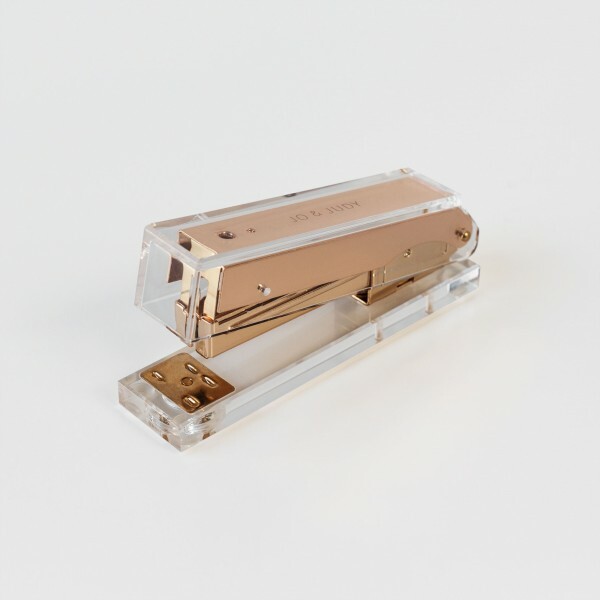 Everything where it belongs – Nothing will get lost with the help of this acrylic stapler! The acrylic workspace essential with golden accents makes your workdays more glamorous and all your colleagues jealous of your impeccably gorgeous desk. The staples are not included when purchasing this product.